On “Listen With Your Heart,” the centerpiece to her 2013 album Carnival, Nora Jane Struthers sings about a young woman taking advice from her dying father: “Darling, it’s time you learned to live,” the man tells the young female narrator. Struthers takes that character’s advice to heart on Wake, her latest solo album, and her best to date. Indeed, Struthers’ third record is brimming and bursting with life, with lessons learned and love discovered, from the thirty-year-old singer. 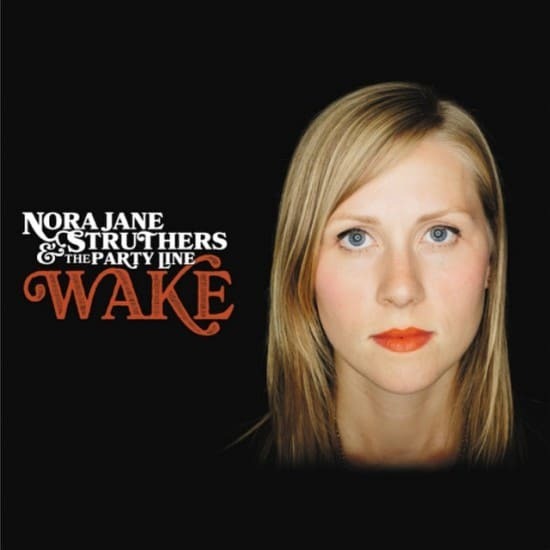 Wake edges further from the bluegrass roots that Struthers has been cautiously discarding over the first few years of her solo career: With its immediately comforting blend of ’90s alt country, roadhouse blues, rootsy power pop, and straightforward honky-tonk, the album sounds, at various points, like early Neko Case, the Jayhawks, and, most strikingly, Kathleen Edwards. Struthers also cares deeply about narrative arch, and she’s crafted a carefully considered 11-song sequence that presents one of the most unabashedly celebratory suites of songs about being newly in love (“When I Wake,” “Mistake,” “Lovin’ You”) in recent memory, only to spend most of side-two in a state of hungover reckoning (“The Wire,” “Let Go.”), interrogating the easy, conclusive joy of fresh romance. As soon as she finishes her manifesto about being deliriously in love, she begins revealing its cracks and doubts: “Well the truth is I didn’t see the wire until I saw the bird,” she sings, sounding most alive when questioning her own revelations.